Fa la la la la la la la la!!! If you’re planning a holiday wedding this DIY bouquet created with Holly-like berries and feathery red filler is the perfect inspiration. No mistletoe will be needed as you jingle your way down the aisle and into the arms of your very own Santa Claus! Seasonal weddings are often ideal for budget brides because many venues are already decorated for the holiday! 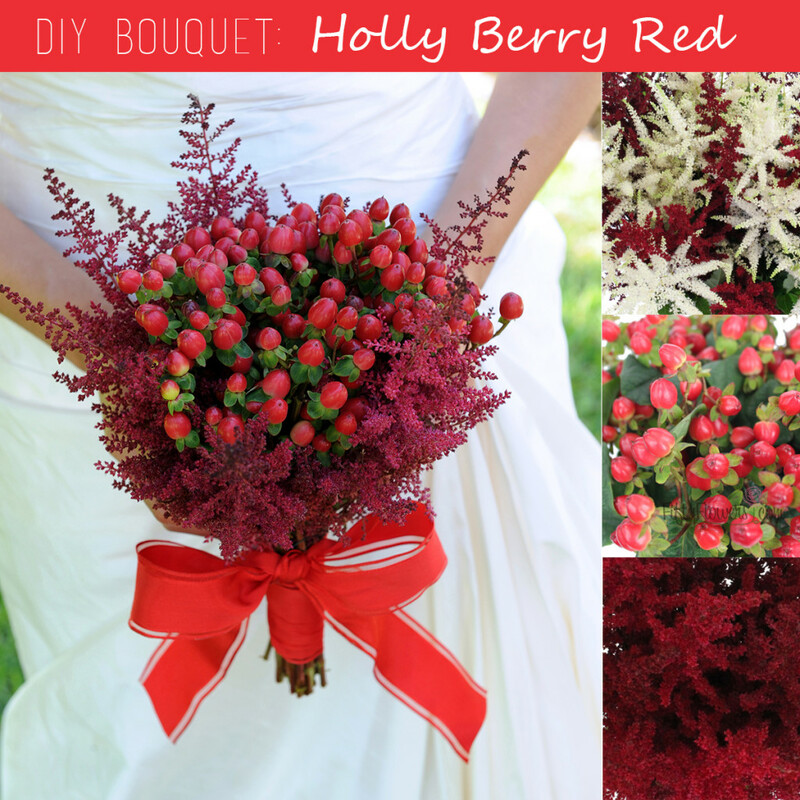 So deck the halls with a Christmastime wedding theme and create your very own Holly Berry bouquet. This bouquet was created by me (a regular DIY-er and surely not a professional florist) using Hypericum Berry and Astilbe.